4550101 CD 15-35P MANITOU CD 15P, CD 18P, CD 20P, CD 25P, CD 30P, CD 35P Diesel forklift CD Series. Spare Parts Catalog. Service (workshop) Manual. Operator's Instruction Manual. 4550103 M26-2 MANITOU M26-2 Diesel forklift M Series. Spare Parts Catalog. Service (workshop) Manual. Operator's Instruction Manual. 4550104 M26-2 Series 3-E2 MANITOU M26-2 Series 3-E2 Diesel forklift M Series. Spare Parts Catalog. Service (workshop) Manual. Operator's Instruction Manual. 4550105 M26-2 Turbo Series 3-E3 MANITOU M26-2 Turbo Series 3-E3 Diesel forklift M Series. Spare Parts Catalog. Service (workshop) Manual. Operator's Instruction Manual. 4550106 M26-4 MANITOU M26-4 Diesel forklift M Series. Spare Parts Catalog. Service (workshop) Manual. Operator's Instruction Manual. 4550107 M26-4 Series 3-E2 MANITOU M26-4 Series 3-E2 Diesel forklift M Series. Spare Parts Catalog. Service (workshop) Manual. Operator's Instruction Manual. 4550108 M26-4 Turbo Series 3-E3 MANITOU M26-4 Turbo Series 3-E3 Diesel forklift M Series. Spare Parts Catalog. Service (workshop) Manual. Operator's Instruction Manual. 4550109 M30-2 MANITOU M30-2 Diesel forklift M Series. Spare Parts Catalog. Service (workshop) Manual. Operator's Instruction Manual. 4550110 M30-2 Series 3-E2 MANITOU M30-2 Series 3-E2 Diesel forklift M Series. Spare Parts Catalog. Service (workshop) Manual. Operator's Instruction Manual. 4550111 M30-2 ST3B MANITOU M30-2 ST3B Diesel forklift M Series. Spare Parts Catalog. Service (workshop) Manual. Operator's Instruction Manual. 4550112 M30-2 Turbo Series 3-E3 MANITOU M30-2 Turbo Series 3-E3 Diesel forklift M Series. Spare Parts Catalog. Service (workshop) Manual. Operator's Instruction Manual. 4550113 M30-2 Turbo MANITOU M30-2 Turbo Diesel forklift M Series. Spare Parts Catalog. Service (workshop) Manual. Operator's Instruction Manual. 4550114 M30-4 MANITOU M30-4 Diesel forklift M Series. Spare Parts Catalog. Service (workshop) Manual. Operator's Instruction Manual. 4550115 M30-4 H MANITOU M30-4 H Diesel forklift M Series. Spare Parts Catalog. Service (workshop) Manual. Operator's Instruction Manual. 4550116 M30-4 H L MANITOU M30-4 H L Diesel forklift M Series. Spare Parts Catalog. Service (workshop) Manual. Operator's Instruction Manual. 4550117 M30-4 Series 3-E2 MANITOU M30-4 Series 3-E2 Diesel forklift M Series. Spare Parts Catalog. Service (workshop) Manual. Operator's Instruction Manual. 4550118 M30-4 ST3B MANITOU M30-4 ST3B Diesel forklift M Series. Spare Parts Catalog. Service (workshop) Manual. Operator's Instruction Manual. 4550119 M30-4 Turbo Series 3-E3 MANITOU M30-4 Turbo Series 3-E3 Diesel forklift M Series. Spare Parts Catalog. Service (workshop) Manual. Operator's Instruction Manual. 4550120 M30-4 Turbo MANITOU M30-4 Turbo Diesel forklift M Series. Spare Parts Catalog. Service (workshop) Manual. Operator's Instruction Manual. 4550121 M40-2 H L MANITOU M40-2 H L Diesel forklift M Series. Spare Parts Catalog. Service (workshop) Manual. Operator's Instruction Manual. 4550122 M40-2 Turbo MANITOU M40-2 Turbo Diesel forklift M Series. Spare Parts Catalog. Service (workshop) Manual. Operator's Instruction Manual. 4550123 M40-4 MANITOU M40-4 Diesel forklift M Series. Spare Parts Catalog. Service (workshop) Manual. Operator's Instruction Manual. 4550124 M40-4 H L MANITOU M40-4 H L Diesel forklift M Series. Spare Parts Catalog. Service (workshop) Manual. Operator's Instruction Manual. 4550125 M40-4 Series 3-E2 MANITOU M40-4 Series 3-E2 Diesel forklift M Series. Spare Parts Catalog. Service (workshop) Manual. Operator's Instruction Manual. 4550126 M40-4 Turbo Series 3-E3 MANITOU M40-4 Turbo Series 3-E3 Diesel forklift M Series. Spare Parts Catalog. Service (workshop) Manual. Operator's Instruction Manual. 4550127 M40-4 Turbo MANITOU M40-4 Turbo Diesel forklift M Series. Spare Parts Catalog. Service (workshop) Manual. Operator's Instruction Manual. 4550128 M50-2 ST3B MANITOU M50-2 ST3B Diesel forklift M Series. Spare Parts Catalog. Service (workshop) Manual. Operator's Instruction Manual. 4550129 M50-2 H L MANITOU M50-2 H L Diesel forklift M Series. Spare Parts Catalog. Service (workshop) Manual. Operator's Instruction Manual. 4550130 M50-2 Turbo MANITOU M50-2 Turbo Diesel forklift M Series. Spare Parts Catalog. Service (workshop) Manual. Operator's Instruction Manual. 4550131 M50-4 H L MANITOU M50-4 H L Diesel forklift M Series. Spare Parts Catalog. Service (workshop) Manual. Operator's Instruction Manual. 4550132 M50-4 MANITOU M50-4 Diesel forklift M Series. Spare Parts Catalog. Service (workshop) Manual. Operator's Instruction Manual. 4550133 M50-4 Series 3-E2 MANITOU M50-4 Series 3-E2 Diesel forklift M Series. Spare Parts Catalog. Service (workshop) Manual. Operator's Instruction Manual. 4550134 M50-4 ST3B MANITOU M50-4 ST3B Diesel forklift M Series. Spare Parts Catalog. Service (workshop) Manual. Operator's Instruction Manual. 4550135 M50-4 Turbo Series 3-E3 MANITOU M50-4 Turbo Series 3-E3 Diesel forklift M Series. Spare Parts Catalog. Service (workshop) Manual. Operator's Instruction Manual. 4550136 M50-4 Turbo MANITOU M50-4 Turbo Diesel forklift M Series. Spare Parts Catalog. Service (workshop) Manual. Operator's Instruction Manual. 4550137 M230 CP MANITOU M230 CP Diesel forklift M Series. Spare Parts Catalog. Service (workshop) Manual. Operator's Instruction Manual. 4550138 M240 CP MANITOU M240 CP Diesel forklift M Series. Spare Parts Catalog. Service (workshop) Manual. Operator's Instruction Manual. 4550139 M250 CP MANITOU M250 CP Diesel forklift M Series. Spare Parts Catalog. Service (workshop) Manual. Operator's Instruction Manual. 4550140 M430 CP MANITOU M430 CP Diesel forklift M Series. Spare Parts Catalog. Service (workshop) Manual. Operator's Instruction Manual. 4550141 M440 CP MANITOU M440 CP Diesel forklift M Series. Spare Parts Catalog. Service (workshop) Manual. Operator's Instruction Manual. 4550142 M450 CP MANITOU M450 CP Diesel forklift M Series. Spare Parts Catalog. Service (workshop) Manual. Operator's Instruction Manual. 4550144 MC 30 MANITOU MC 30 Diesel forklift MC Series. Spare Parts Catalog. Service (workshop) Manual. Operator's Instruction Manual. 4550145 MC 30 Series 3-E2 MANITOU MC 30 Series 3-E2 Diesel forklift MC Series. Spare Parts Catalog. Service (workshop) Manual. Operator's Instruction Manual. 4550146 MC 30 Turbo Series 3-E3 MANITOU MC 30 Turbo Series 3-E3 Diesel forklift MC Series. Spare Parts Catalog. Service (workshop) Manual. Operator's Instruction Manual. 4550147 MC 40 PowerShift MANITOU MC 40 PowerShift Diesel forklift MC Series. Spare Parts Catalog. Service (workshop) Manual. Operator's Instruction Manual. 4550148 MC 40 PowerShift Series 3-E2 MANITOU MC 40 PowerShift Series 3-E2 Diesel forklift MC Series. Spare Parts Catalog. Service (workshop) Manual. Operator's Instruction Manual. 4550149 MC 40 Turbo PowerShift Series 3-E3 MANITOU MC 40 Turbo PowerShift Series 3-E3 Diesel forklift MC Series. Spare Parts Catalog. Service (workshop) Manual. Operator's Instruction Manual. 4550150 MC 50 PowerShift MANITOU MC 50 PowerShift Diesel forklift MC Series. Spare Parts Catalog. Service (workshop) Manual. Operator's Instruction Manual. 4550151 MC 50 PowerShift Series 3-E2 MANITOU MC 50 PowerShift Series 3-E2 Diesel forklift MC Series. Spare Parts Catalog. Service (workshop) Manual. Operator's Instruction Manual. 4550152 MC 50 Turbo PowerShift Series 3-E3 MANITOU MC 50 Turbo PowerShift Series 3-E3 Diesel forklift MC Series. Spare Parts Catalog. Service (workshop) Manual. Operator's Instruction Manual. 4550153 MC 60 PowerShift MANITOU MC 60 PowerShift Diesel forklift MC Series. Spare Parts Catalog. Service (workshop) Manual. Operator's Instruction Manual. 4550154 MC 60 Turbo PowerShift MANITOU MC 60 Turbo PowerShift Diesel forklift MC Series. Spare Parts Catalog. Service (workshop) Manual. Operator's Instruction Manual. 4550155 MC 60 Turbo PowerShift Series 3-E3 MANITOU MC 60 Turbo PowerShift Series 3-E3 Diesel forklift MC Series. Spare Parts Catalog. Service (workshop) Manual. Operator's Instruction Manual. 4550156 MC 70 PowerShift MANITOU MC 70 PowerShift Diesel forklift MC Series. Spare Parts Catalog. Service (workshop) Manual. Operator's Instruction Manual. 4550157 MC 70 Turbo PowerShift MANITOU MC 70 Turbo PowerShift Diesel forklift MC Series. Spare Parts Catalog. Service (workshop) Manual. Operator's Instruction Manual. 4550158 MC 70 Turbo PowerShift Series 3-E3 MANITOU MC 70 Turbo PowerShift Series 3-E3 Diesel forklift MC Series. Spare Parts Catalog. Service (workshop) Manual. Operator's Instruction Manual. 4550160 ME 315 MANITOU ME 315 Diesel forklift ME Series. Spare Parts Catalog. Service (workshop) Manual. Operator's Instruction Manual. 4550161 ME 316 MANITOU ME 316 Diesel forklift ME Series. Spare Parts Catalog. Service (workshop) Manual. Operator's Instruction Manual. 4550162 ME 318 MANITOU ME 318 Diesel forklift ME Series. Spare Parts Catalog. Service (workshop) Manual. Operator's Instruction Manual. 4550163 ME 320 MANITOU ME 320 Diesel forklift ME Series. Spare Parts Catalog. Service (workshop) Manual. Operator's Instruction Manual. 4550165 MH 20-4 Turbo BUGGIE Series 2-E2 MANITOU MH 20-4 Turbo BUGGIE Series 2-E2 Diesel forklift MH Series. Spare Parts Catalog. Service (workshop) Manual. Operator's Instruction Manual. 4550166 MH 20-4 Turbo BUGGIE Series 2-E3 MANITOU MH 20-4 Turbo BUGGIE Series 2-E3 Diesel forklift MH Series. Spare Parts Catalog. Service (workshop) Manual. Operator's Instruction Manual. 4550167 MH 20-4 Turbo Series 2-E2 MANITOU MH 20-4 Turbo Series 2-E2 Diesel forklift MH Series. Spare Parts Catalog. Service (workshop) Manual. Operator's Instruction Manual. 4550168 MH 25-4 Turbo BUGGIE Series 2-E2 MANITOU MH 25-4 Turbo BUGGIE Series 2-E2 Diesel forklift MH Series. Spare Parts Catalog. Service (workshop) Manual. Operator's Instruction Manual. 4550169 MH 25-4 Turbo BUGGIE Series 2-E3 MANITOU MH 25-4 Turbo BUGGIE Series 2-E3 Diesel forklift MH Series. Spare Parts Catalog. Service (workshop) Manual. Operator's Instruction Manual. 4550170 MH 25-4 Turbo Series 2-E2 MANITOU MH 25-4 Turbo Series 2-E2 Diesel forklift MH Series. Spare Parts Catalog. Service (workshop) Manual. Operator's Instruction Manual. 4550172 MSI 20 MANITOU MSI 20 Diesel forklift MSI Series. Spare Parts Catalog. Service (workshop) Manual. Operator's Instruction Manual. 4550173 MSI 20 D MANITOU MSI 20 D Diesel forklift MSI Series. Spare Parts Catalog. Service (workshop) Manual. Operator's Instruction Manual. 4550174 MSI 20 D Series 2-E2 MANITOU MSI 20 D Series 2-E2 Diesel forklift MSI Series. Spare Parts Catalog. Service (workshop) Manual. Operator's Instruction Manual. 4550175 MSI 20 Turbo Series 2-E3 MANITOU MSI 20 Turbo Series 2-E3 Diesel forklift MSI Series. Spare Parts Catalog. Service (workshop) Manual. Operator's Instruction Manual. 4550176 MSI 25 MANITOU MSI 25 Diesel forklift MSI Series. Spare Parts Catalog. Service (workshop) Manual. Operator's Instruction Manual. 4550177 MSI 25 D MANITOU MSI 25 D Diesel forklift MSI Series. Spare Parts Catalog. Service (workshop) Manual. Operator's Instruction Manual. 4550178 MSI 25 D Series 2-E2 MANITOU MSI 25 D Series 2-E2 Diesel forklift MSI Series. Spare Parts Catalog. Service (workshop) Manual. Operator's Instruction Manual. 4550179 MSI 25 Turbo Series 2-E3 MANITOU MSI 25 Turbo Series 2-E3 Diesel forklift MSI Series. Spare Parts Catalog. Service (workshop) Manual. Operator's Instruction Manual. 4550180 MSI 30 MANITOU MSI 30 Diesel forklift MSI Series. Spare Parts Catalog. Service (workshop) Manual. Operator's Instruction Manual. 4550181 MSI 30 D MANITOU MSI 30 D Diesel forklift MSI Series. Spare Parts Catalog. Service (workshop) Manual. Operator's Instruction Manual. 4550182 MSI 30 D Turbo Series 1-E2 MANITOU MSI 30 D Turbo Series 1-E2 Diesel forklift MSI Series. Spare Parts Catalog. Service (workshop) Manual. Operator's Instruction Manual. 4550183 MSI 30 D Series 2-E2 MANITOU MSI 30 D Series 2-E2 Diesel forklift MSI Series. Spare Parts Catalog. Service (workshop) Manual. Operator's Instruction Manual. 4550184 MSI 30 Turbo Series 2-E3 MANITOU MSI 30 Turbo Series 2-E3 Diesel forklift MSI Series. Spare Parts Catalog. Service (workshop) Manual. Operator's Instruction Manual. 4550185 MSI 30 LPG Series 2-E MANITOU MSI 30 LPG Series 2-E Diesel forklift MSI Series. Spare Parts Catalog. Service (workshop) Manual. Operator's Instruction Manual. 4550186 MSI 35 Turbo Series 2-E2 MANITOU MSI 35 Turbo Series 2-E2 Diesel forklift MSI Series. Spare Parts Catalog. Service (workshop) Manual. Operator's Instruction Manual. 4550187 MSI 35 Turbo Series 2-E3 MANITOU MSI 35 Turbo Series 2-E3 Diesel forklift MSI Series. Spare Parts Catalog. Service (workshop) Manual. Operator's Instruction Manual. 4550188 MSI 40 MANITOU MSI 40 Diesel forklift MSI Series. Spare Parts Catalog. Service (workshop) Manual. Operator's Instruction Manual. 4550189 MSI 40 H MANITOU MSI 40 H Diesel forklift MSI Series. Spare Parts Catalog. Service (workshop) Manual. Operator's Instruction Manual. 4550190 MSI 50 MANITOU MSI 50 Diesel forklift MSI Series. Spare Parts Catalog. Service (workshop) Manual. Operator's Instruction Manual. 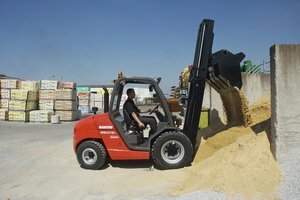 4550191 MSI 50 H MANITOU MSI 50 H Diesel forklift MSI Series. Spare Parts Catalog. Service (workshop) Manual. Operator's Instruction Manual. 4550192 MSI 50 H Series 1-E2 MANITOU MSI 50 H Series 1-E2 Diesel forklift MSI Series. Spare Parts Catalog. Service (workshop) Manual. Operator's Instruction Manual. 4550194 EMA 15 Electrical forklift MANITOU EMA 15 Diesel forklift EMA Series. Spare Parts Catalog. Service (workshop) Manual. Operator's Instruction Manual. 4550195 EMA 18 Electrical forklift MANITOU EMA 18 Diesel forklift EMA Series. Spare Parts Catalog. Service (workshop) Manual. Operator's Instruction Manual. 4550197 ST-18 Electrical forklift MANITOU ST-18 Diesel forklift ST Series. Spare Parts Catalog. Service (workshop) Manual. Operator's Instruction Manual. 4550199 S402 TC-D MANITOU S402 TC-D Diesel forklift S Series. Spare Parts Catalog. Service (workshop) Manual. Operator's Instruction Manual. 4550200 S404 TC-D MANITOU S404 TC-D Diesel forklift S Series. Spare Parts Catalog. Service (workshop) Manual. Operator's Instruction Manual. 4550201 S502 TC-D MANITOU S502 TC-D Diesel forklift S Series. Spare Parts Catalog. Service (workshop) Manual. Operator's Instruction Manual. 4550202 S504 TC-D MANITOU S504 TC-D Diesel forklift S Series. Spare Parts Catalog. Service (workshop) Manual. Operator's Instruction Manual. 4550203 S602 TC-D MANITOU S602 TC-D Diesel forklift S Series. Spare Parts Catalog. Service (workshop) Manual. Operator's Instruction Manual. 4550204 S604 TC-D MANITOU S604 TC-D Diesel forklift S Series. Spare Parts Catalog. Service (workshop) Manual. Operator's Instruction Manual. 4550206 SLT 415 B Series 2-E2 MANITOU SLT 415 B Series 2-E2 Diesel forklift SLT Series. Spare Parts Catalog. Service (workshop) Manual. Operator's Instruction Manual. 4550208 TMV 50 HT Vertical Lift Mast MANITOU TMV 50 HT Vertical Lift Mast Diesel forklift TMV Series. Spare Parts Catalog. Service (workshop) Manual. Operator's Instruction Manual. 4550209 TMV 55 HT Vertical Lift Mast MANITOU TMV 55 HT Vertical Lift Mast Diesel forklift TMV Series. Spare Parts Catalog. Service (workshop) Manual. Operator's Instruction Manual. 4550211 TMP 25 HT Vertical Lift Mast MANITOU TMP 25 HT Vertical Lift Mast Diesel forklift TMP Series. Spare Parts Catalog. Service (workshop) Manual. Operator's Instruction Manual. 4550212 TMP 55 HT Vertical Lift Mast MANITOU TMP 55 HT Vertical Lift Mast Diesel forklift TMP Series. Spare Parts Catalog. Service (workshop) Manual. Operator's Instruction Manual. 4550213 TMP 5500 Vertical Lift Mast MANITOU TMP 5500 Vertical Lift Mast Diesel forklift TMP Series. Spare Parts Catalog. Service (workshop) Manual. Operator's Instruction Manual.